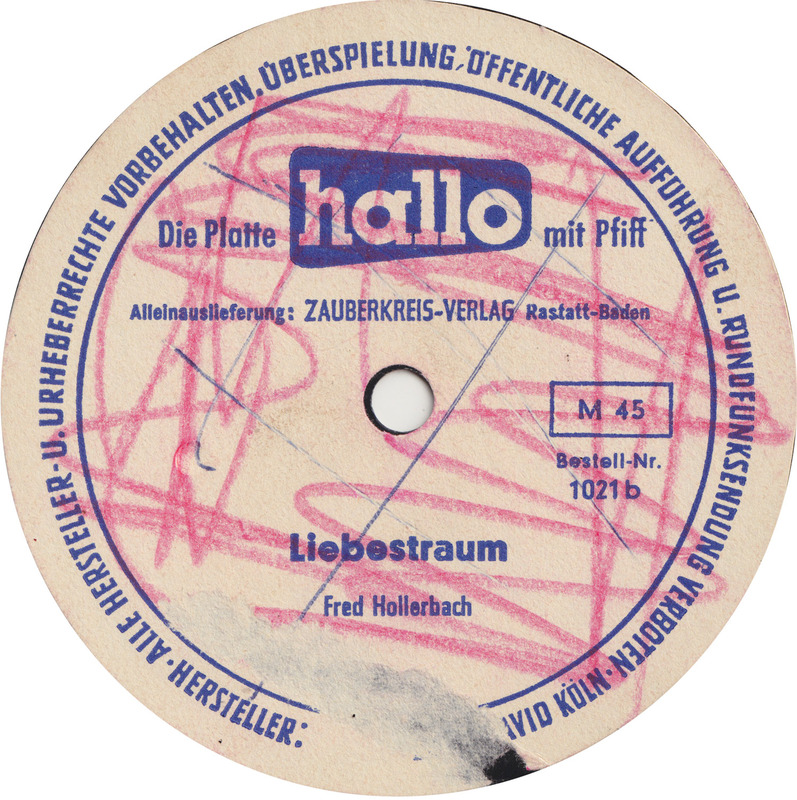 Around 1960, the Hallo label out of Rastatt/ Baden-Württemberg, released around four dozen flexi discs, often containing original tunes, to go with their Hallo magazine, a rock´n´roll knock-off of Bravo. 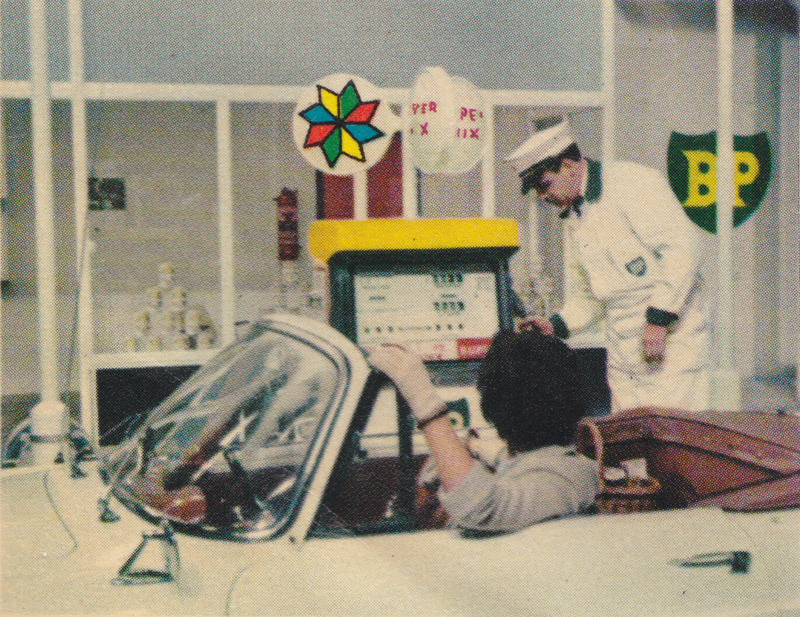 I haven´t posted any Hallo flexis, because a book about Hallo and a CD, was soon to be released. That was years ago, but so far, no book. If the book and the CD finally come out, I´ll be happy to buy a copy. Meanwhile, this Hallo flexi is fine blog material: 50 plus years old, defunct label, unknown artists, not available in digital format elsewhere. 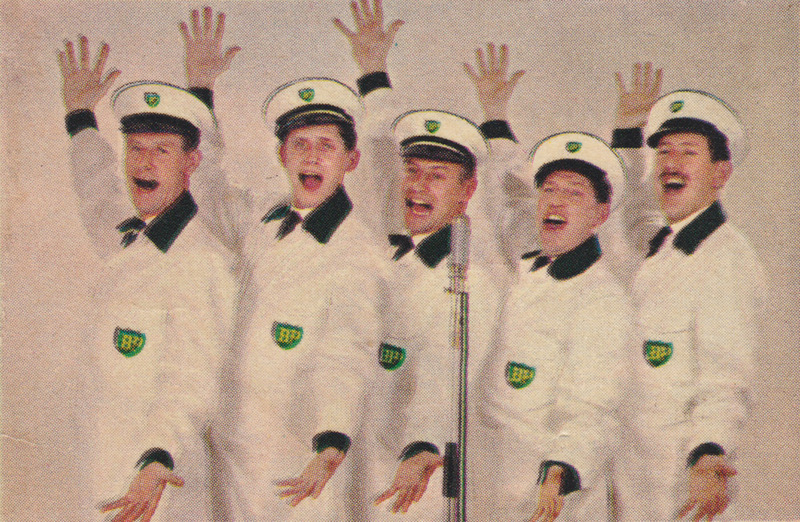 Franz von Suppé´s Liebestraum was turned into a Twist hit in 1961 by Charly Cotton and his Twistmakers, a band led by prolific songwriter Christian Bruhn. 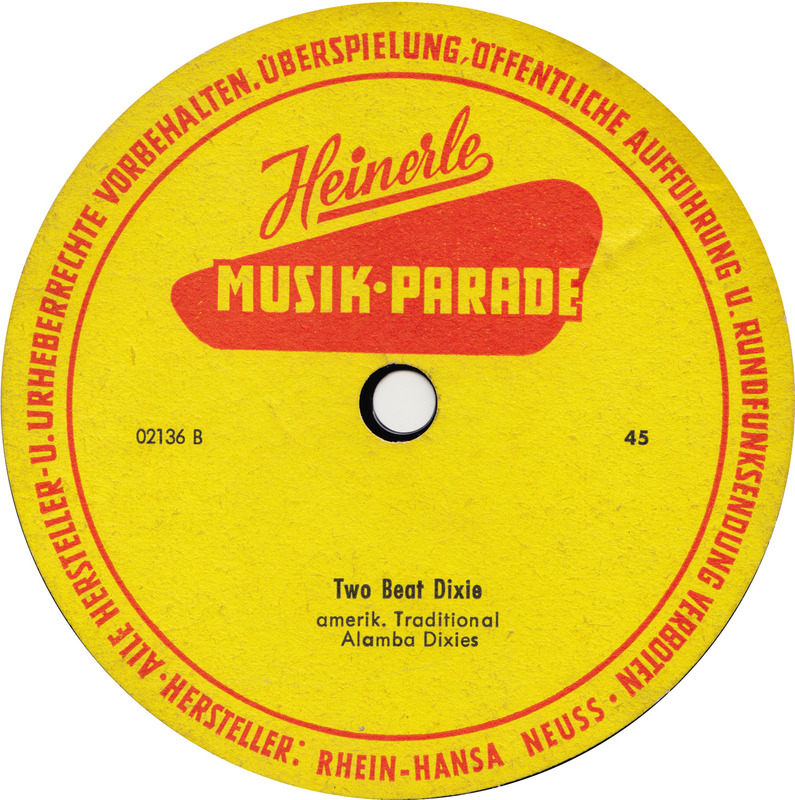 I´ve posted a bunch of versions of Der Liebestraum als Twist over the years, by Jimmy Brown (Tempo), Bert Landers (Tip) and Bob Gerry (Baccarola and the Gary Edwards Combo (Oriole). 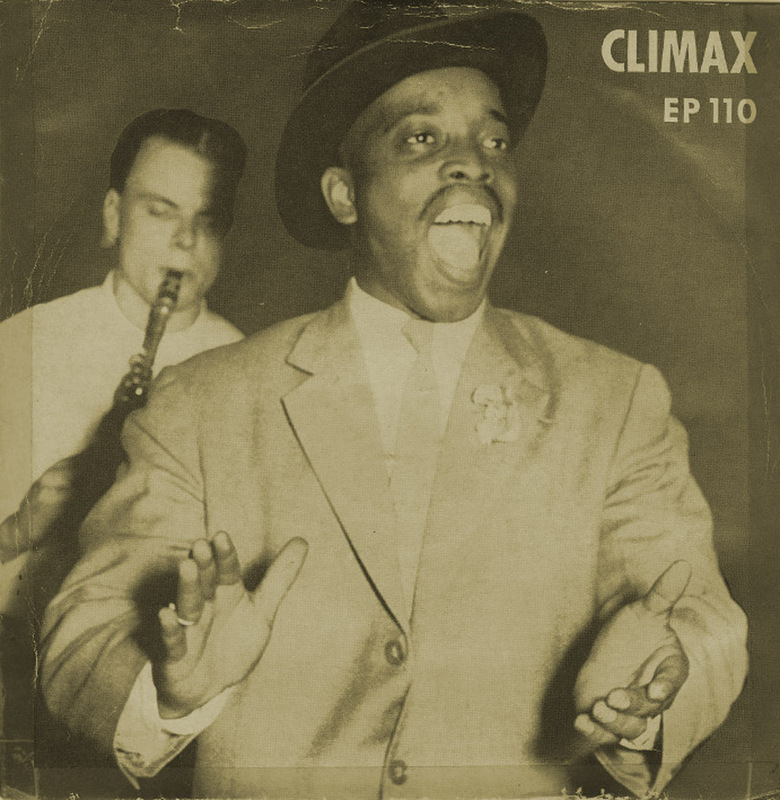 This Accordeon-Jazz-version, typical of the 1950s trend of Jazz-takes on Classical music, predates Charly Cotton´s. 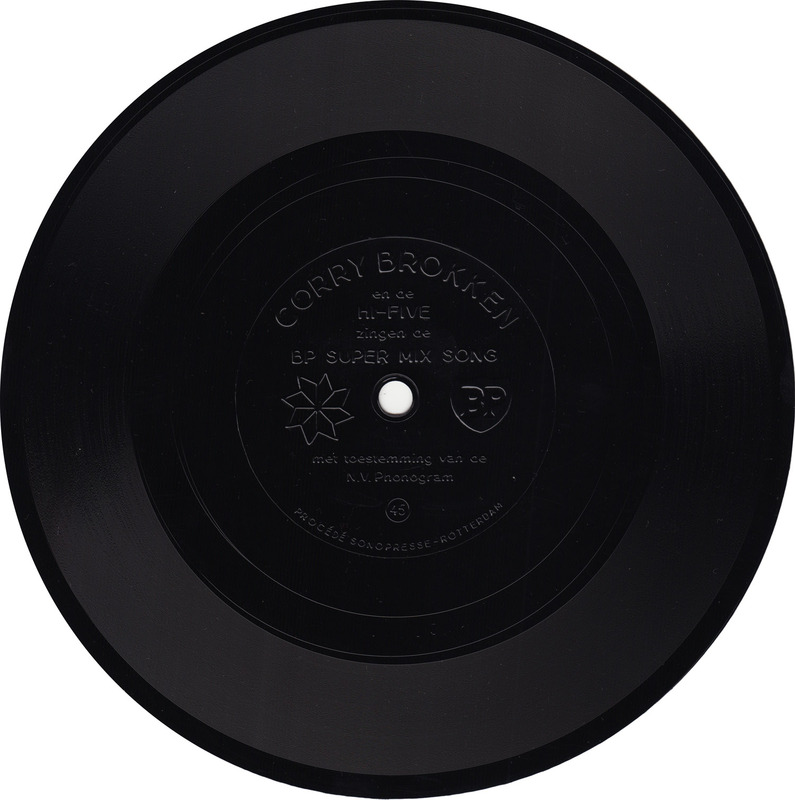 The condition of this flexible record seems to be the result of a familiar scene. Flexis were cheap products for teenagers, teenagers that lived in the same rooms with their little brothers and sisters. Like I did with my little brother until I was 13 years old. Frequently we would get in fights. I´m sorry to admit it, but my brother always lost. 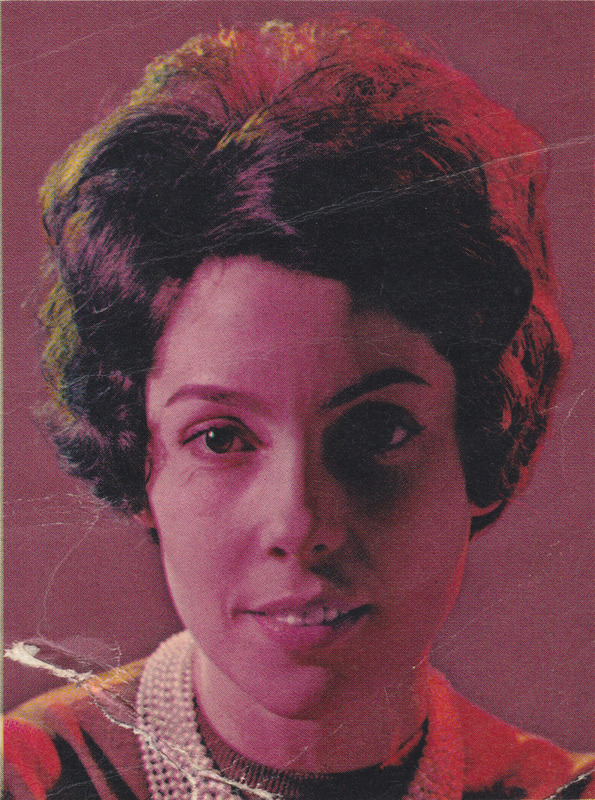 Angel of Love was first recorded by Charlie Gracie for Coral in 1959. 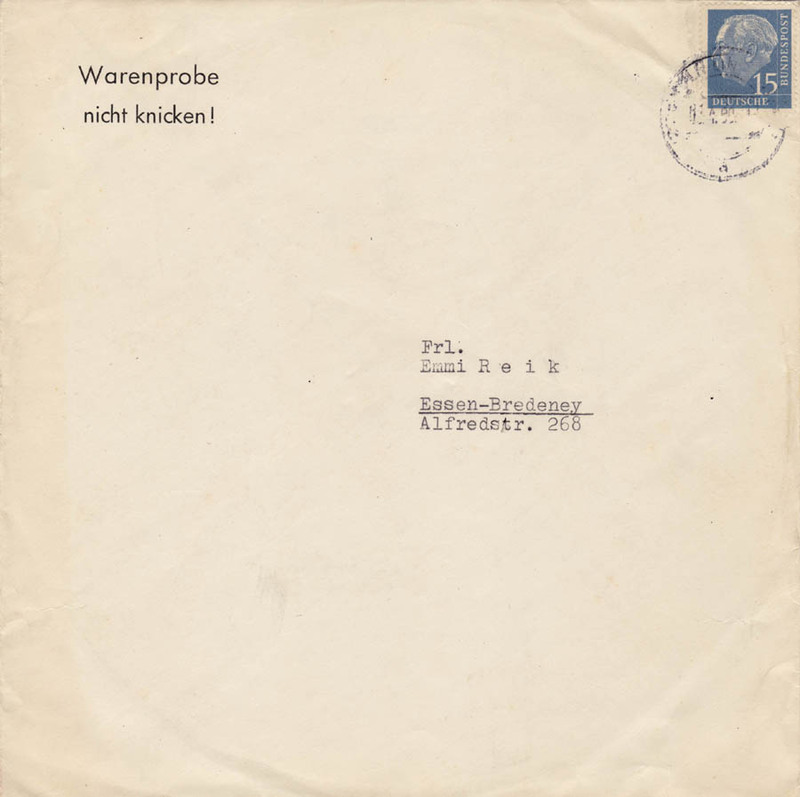 Teddy Palmer, recorded a German version for Electrola the same year, in the rrrrrock´n´rrrrrollin´Peter-Kraus-style. 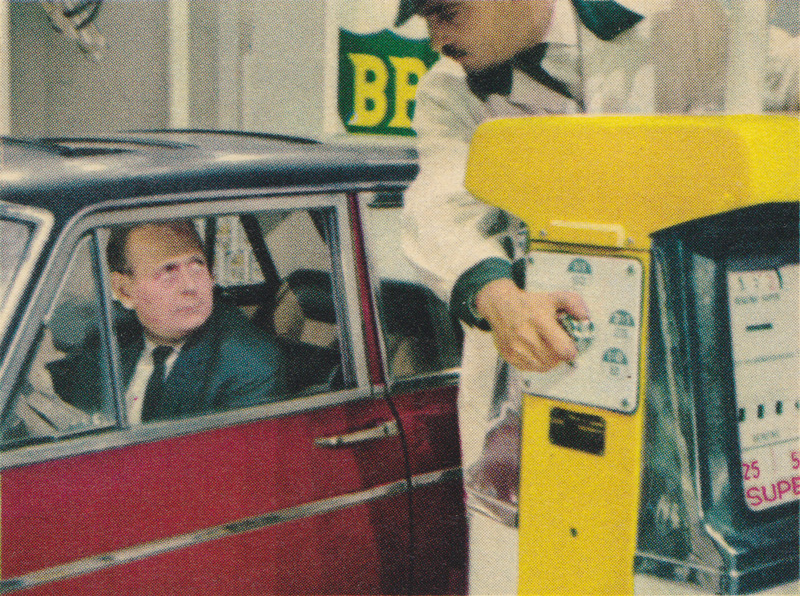 Just noticed that the last post was my 700th post since I started this blog in 2007. 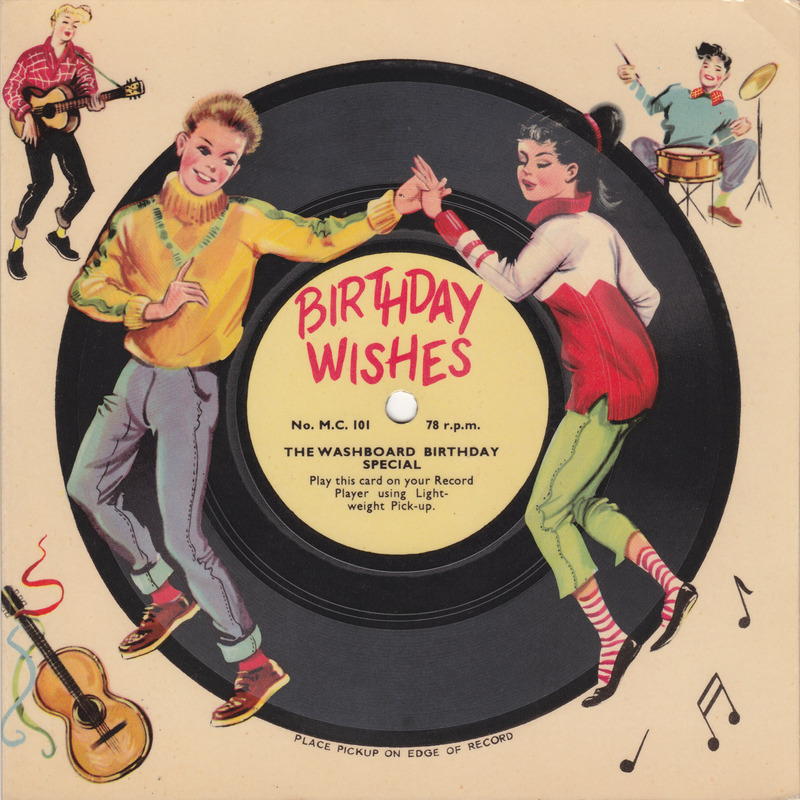 To celebrate all these wasted years, here´s another flexible Birthday 78rpm postcard record, published by the London based Melody Cards company. 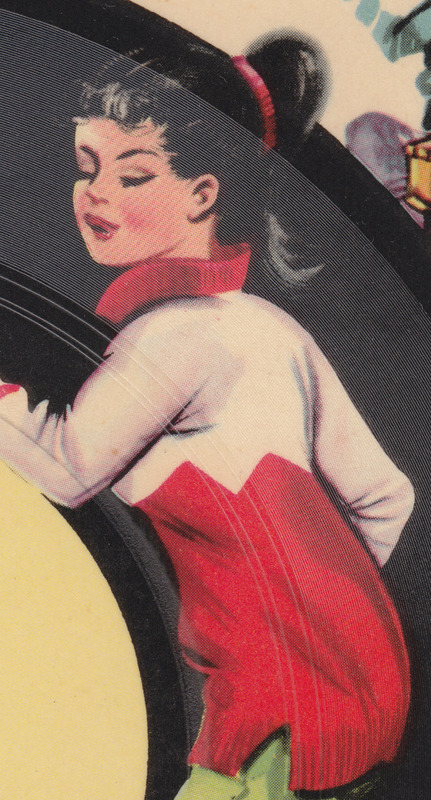 These postcard records offer perfect copyright-friendly blog material: anonymous artists, no copyright noted, 50 plus years old and of course never reissued. 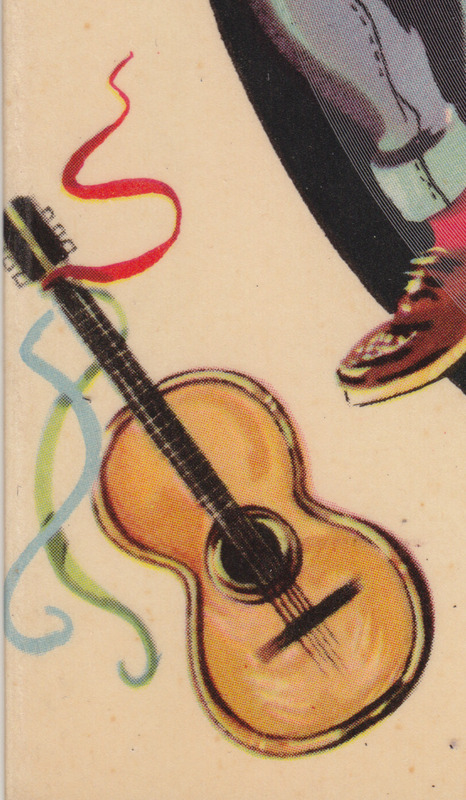 Plus, underneath the crackles and pops, a pretty silly song. 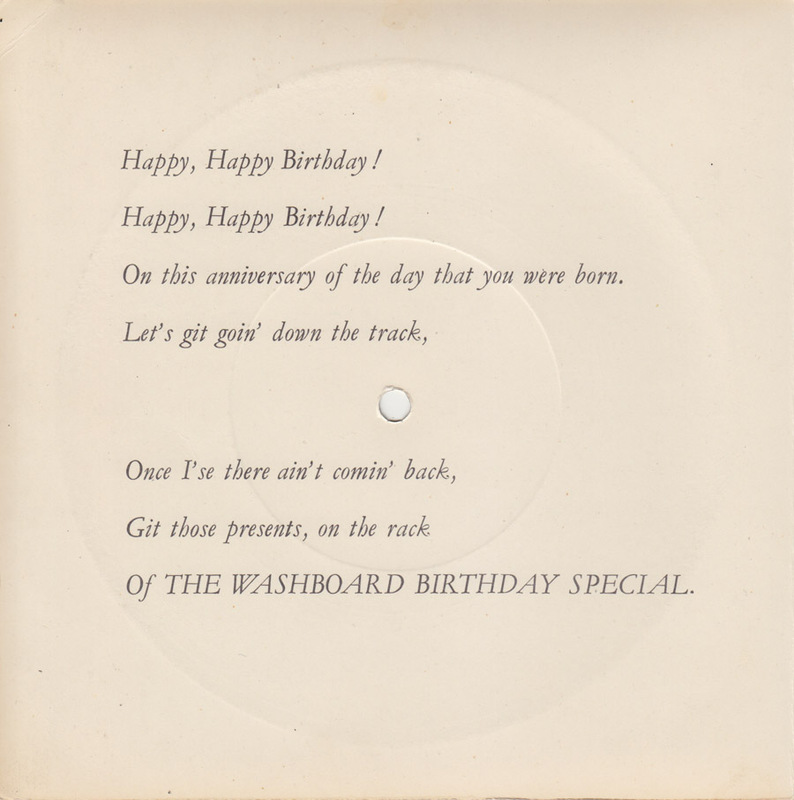 On this anniversary of the day that you were born. 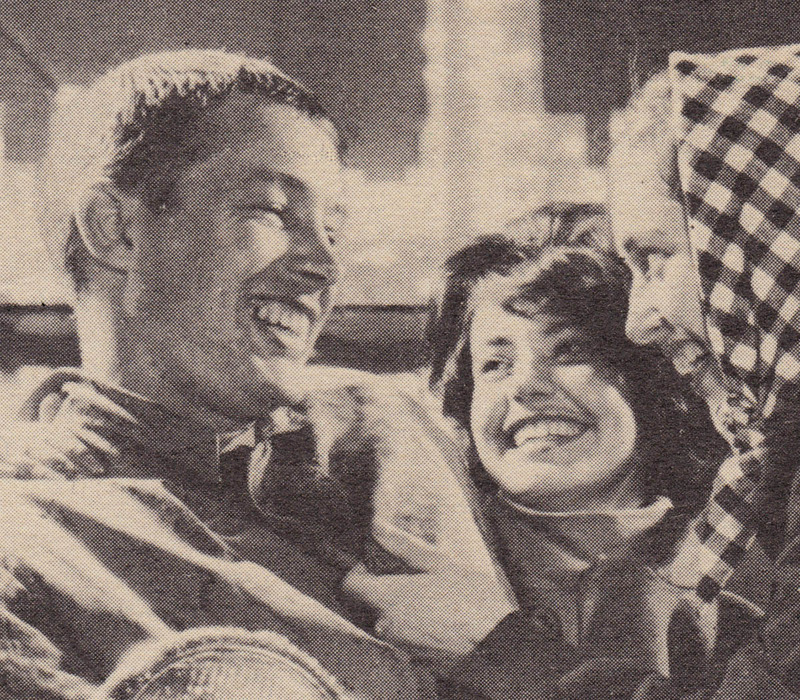 Note the Joe Brown haircut of the teenage boy in the center! 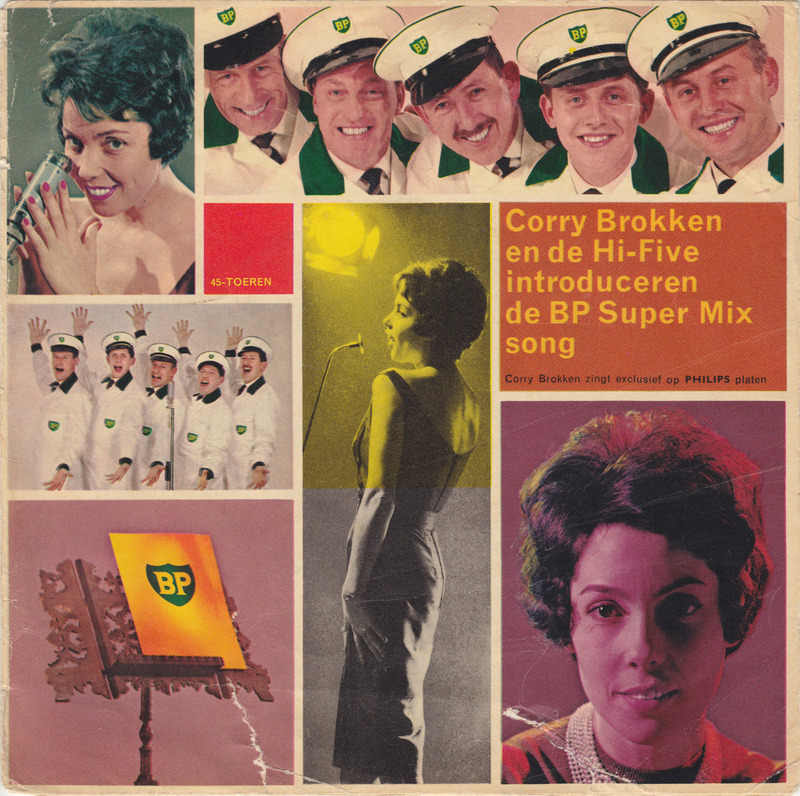 In 1957 Dutch singer Corry Brokken won the second European Song Contest, the Grand Prix Eurovision de la Chanson Europénne. 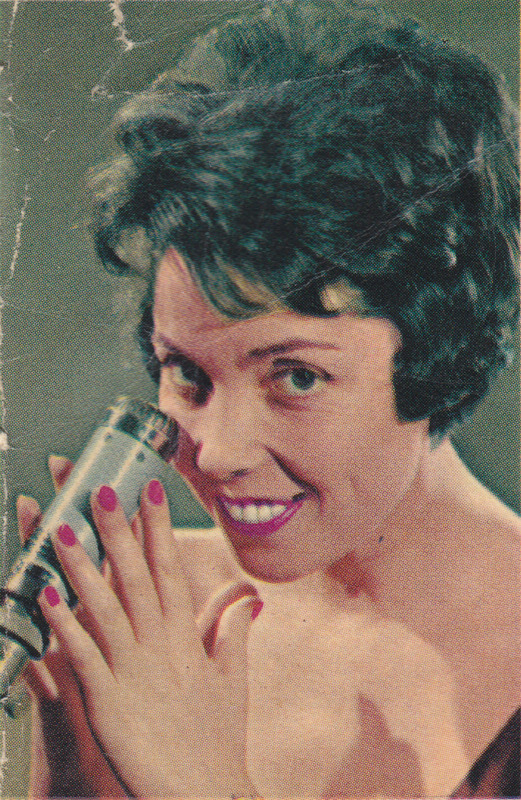 While she is mostly known for her smooth pop ballads, her career got started when she recorded the swingin´ Auto-Scooter´s-Boogie with Albert Van Hoogten´s small indie Ronnex in 1955. 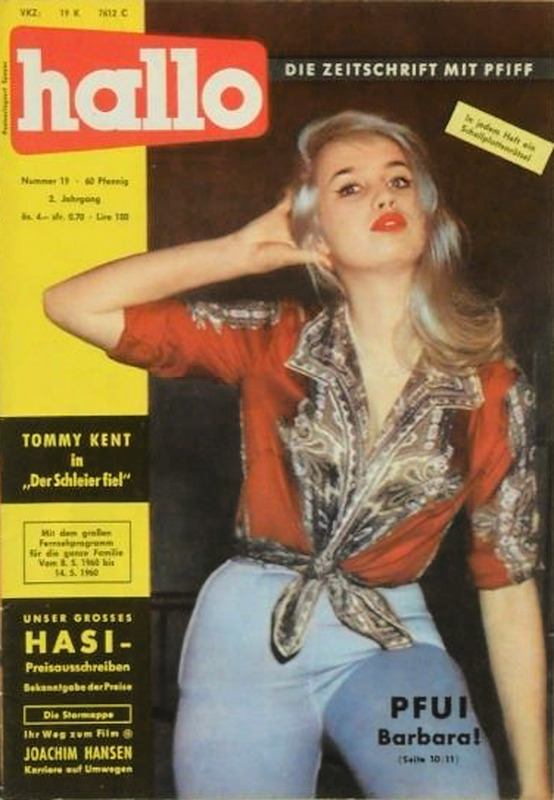 Now Ronnex was a hip label, from putting out Bill Haley´s pre-rock´n´roll sides, to Jack Hammer´s crazy twists, to the fuzzed-out beat of the Shake Spears. 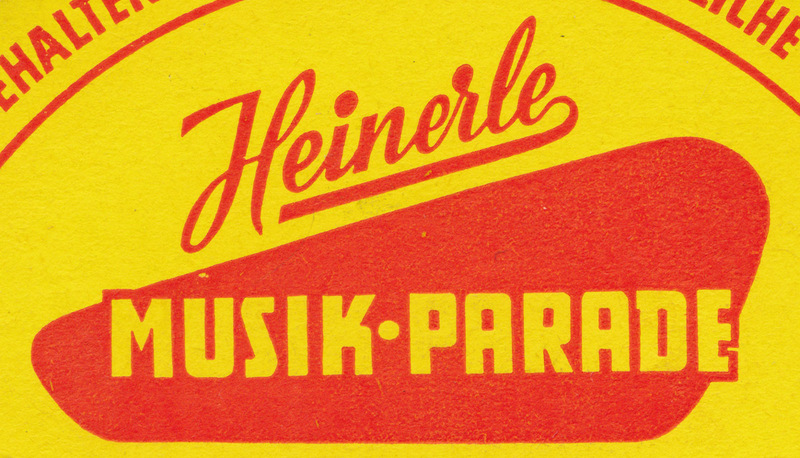 In the mid-1950s Albert sent his brother, Rene Jan van Hoogten, to the United States to set up a label there. 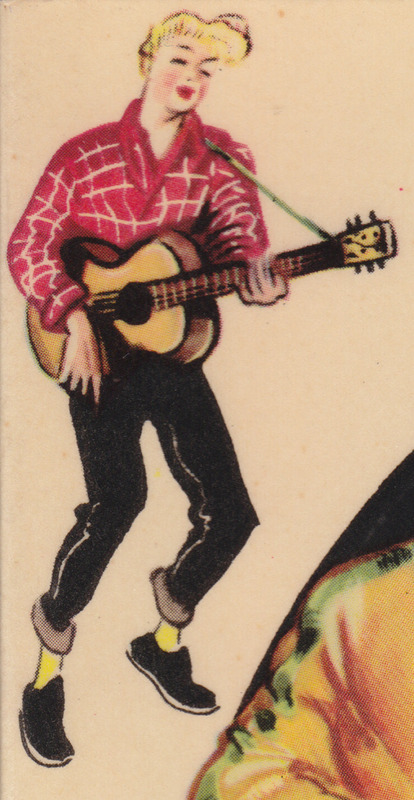 Rene later changed his name to Ray Maxwell, started Moonglow Records, recorded a bunch of very cool rockin´records and eventually discovered the Righteous Brothers. Recently Deutsche Bahn made national headlines once again when the train station in Mainz (a city of more than 200.000 inhabitants) had to partly shut down due to most of the station´s traffic controllers being ill or on vacation. 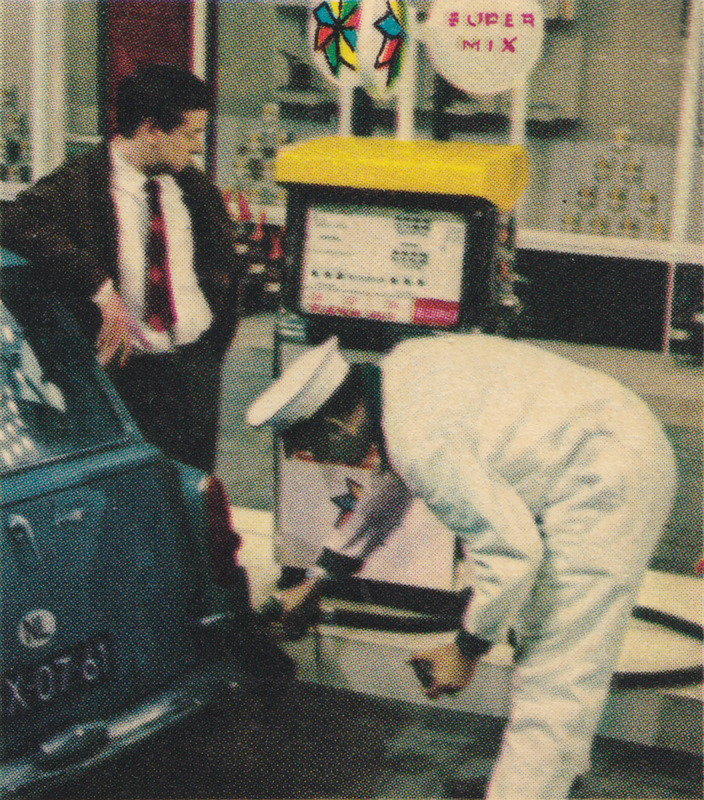 A couple of days of irregular service were called “chaos”, “crisis” and “a scandal” and caused a huge public outcry. 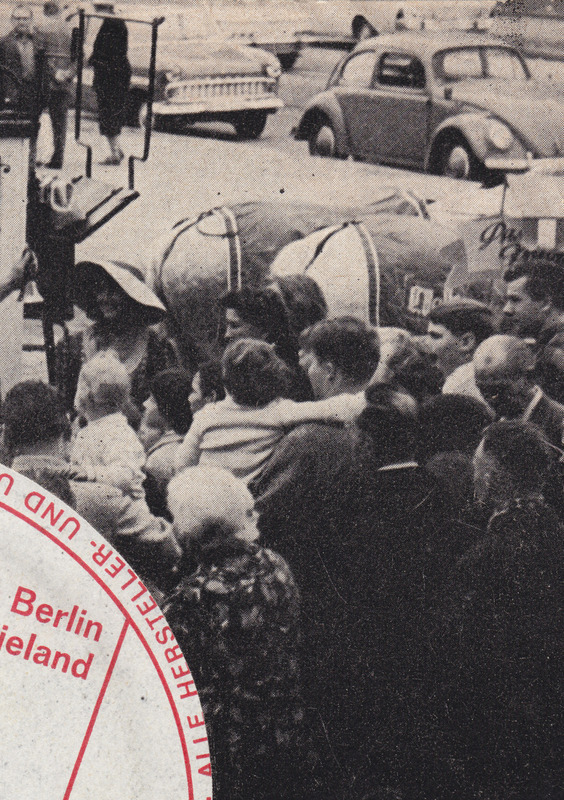 Here´s a look back to the past, when German trains were a lot slower but always reliable. 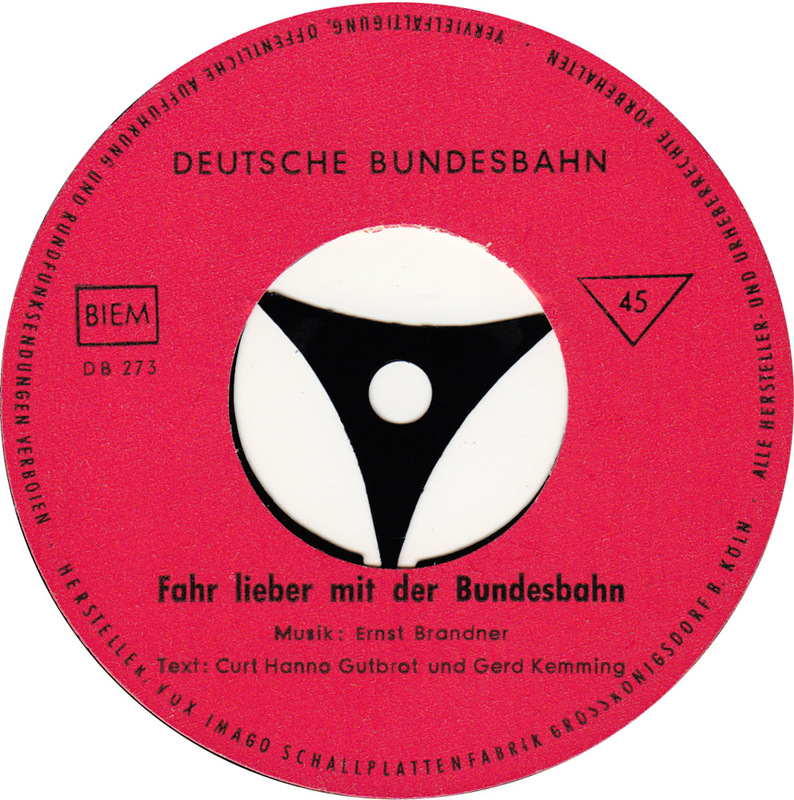 This one-sided flexible advertisement record, made by Bundesbahn (the predecessor of Deutsche Bahn) and recorded by anonymous artists in 1966, glorifies the service, punctuality and speed of the railroad. 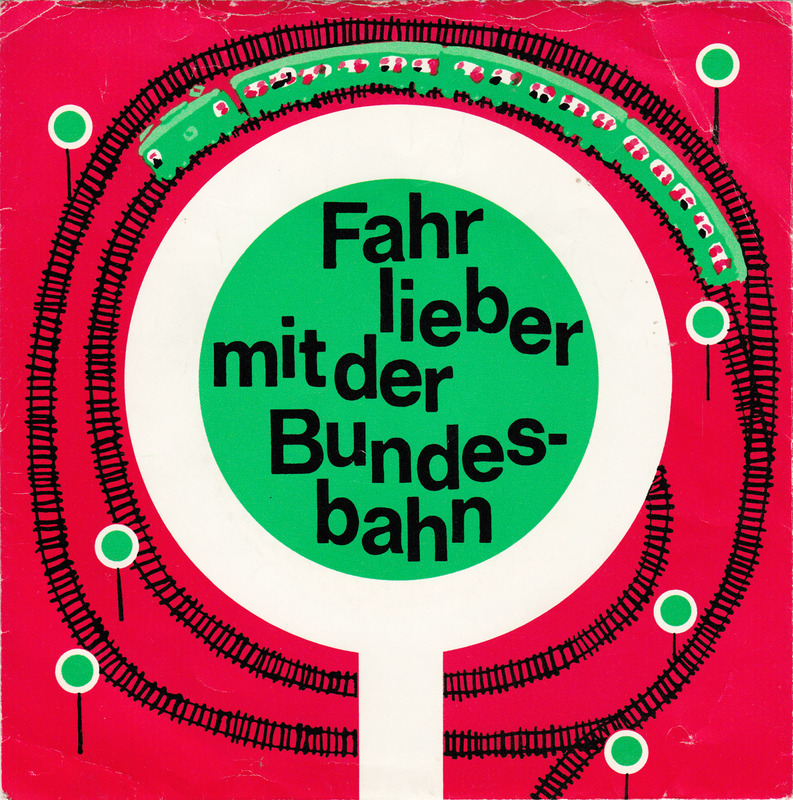 “Fahr lieber mit der Bundesbahn” – Take the train instead! 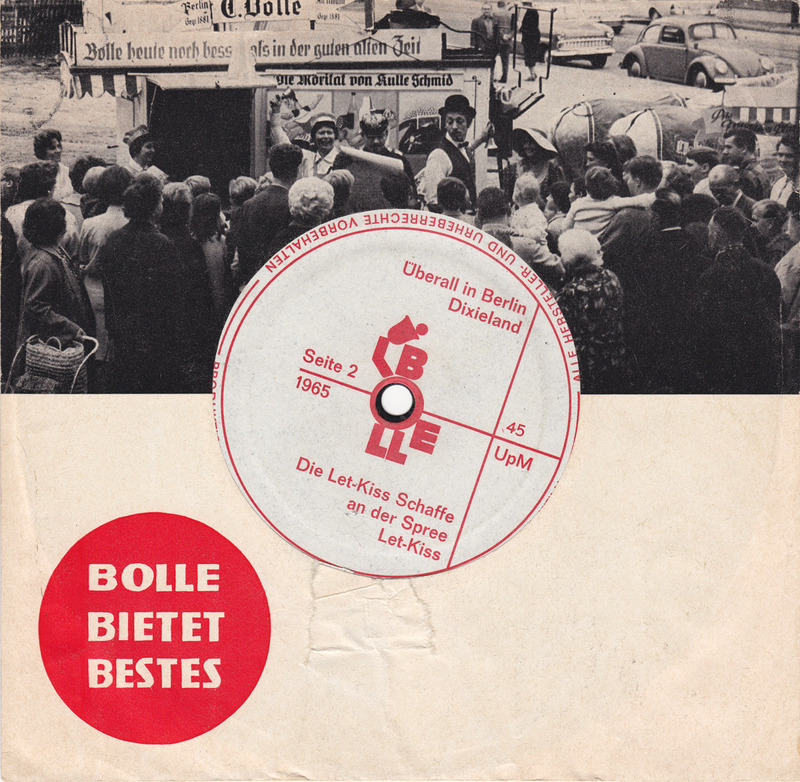 In 2007 the Bolle Beatet Bestes flexible 45 inspired the name of this blog. Berlin bietet Bestes means “Berlin offers the best”. 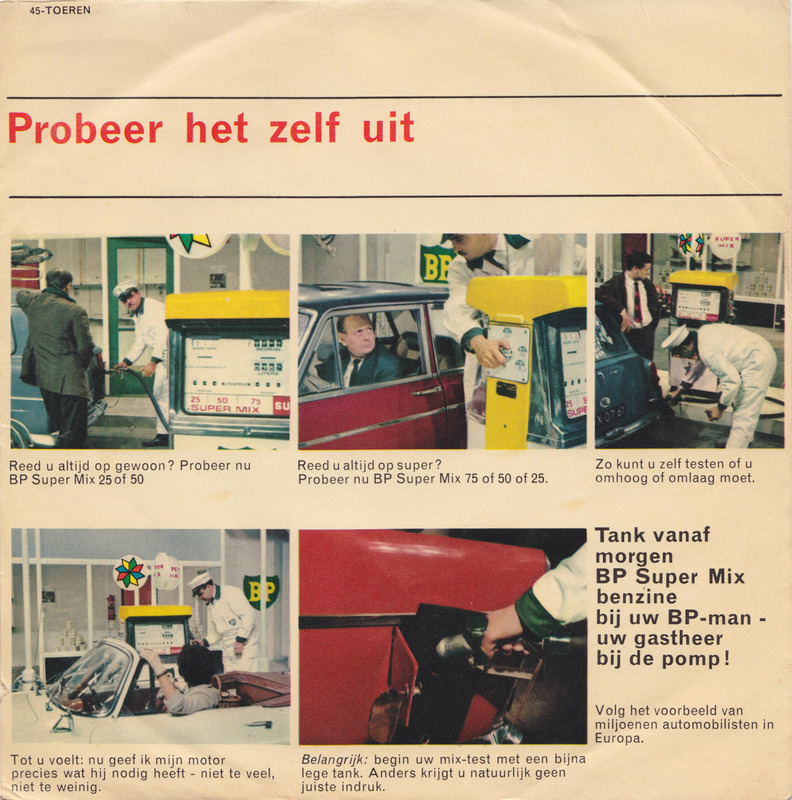 The record was issued by Bolle, a local chain of supermarkets. 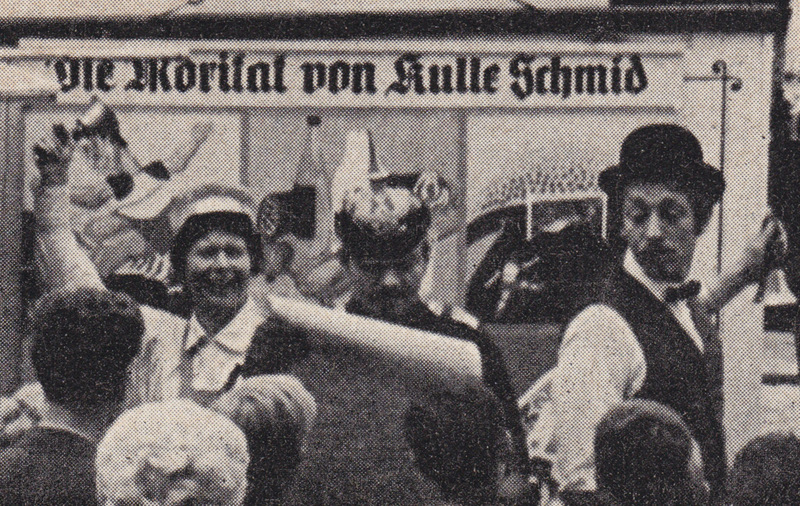 Bolle had a very long history in Berlin. 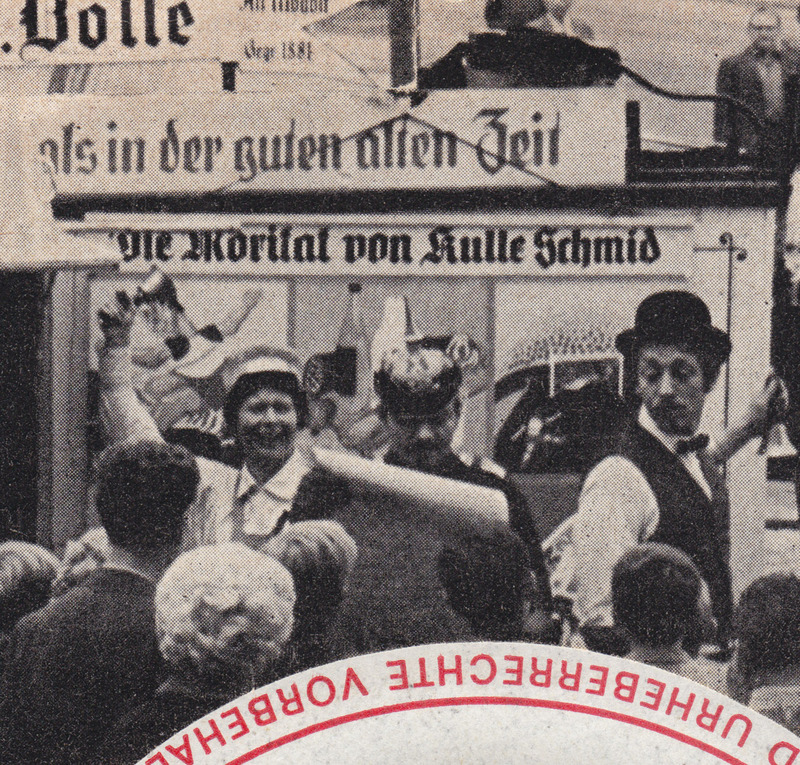 Initially the company developed out of the C. Bolle dairy farm that was established in 1879 by Carl Andreas Julius Bolle. The last store closed in 2011. 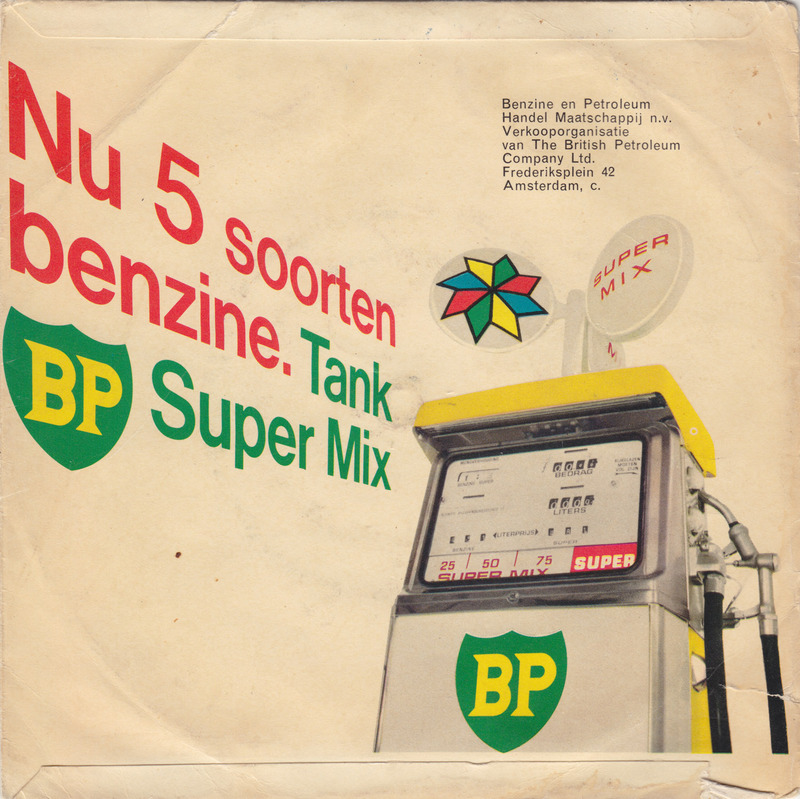 There were some other 45s put out by Bolle but these two are the only flexi discs. 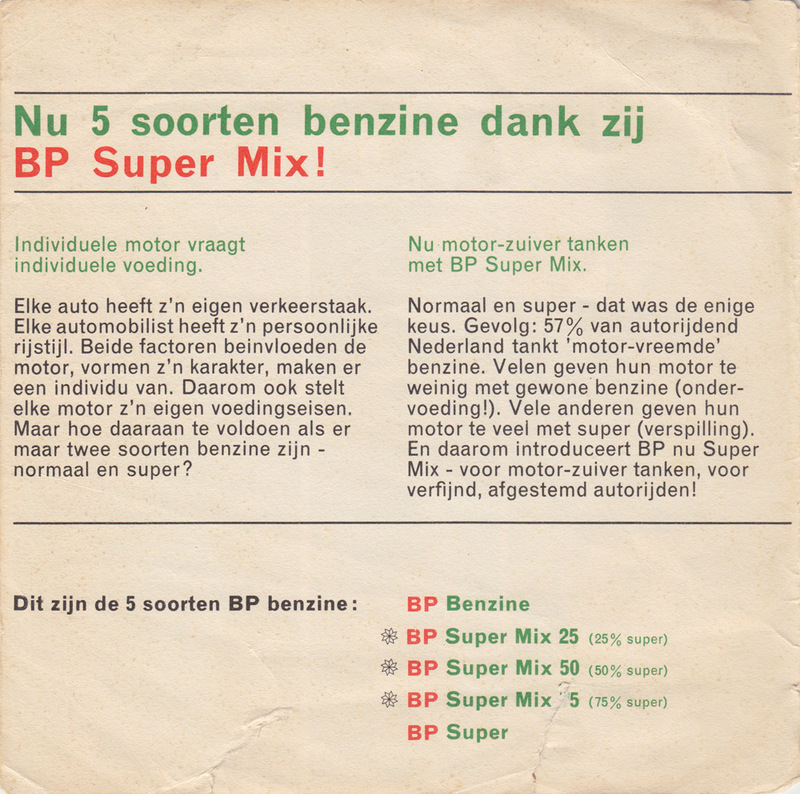 The Bolle Beatet Bestes flexi from 1967 is the more interesting one. 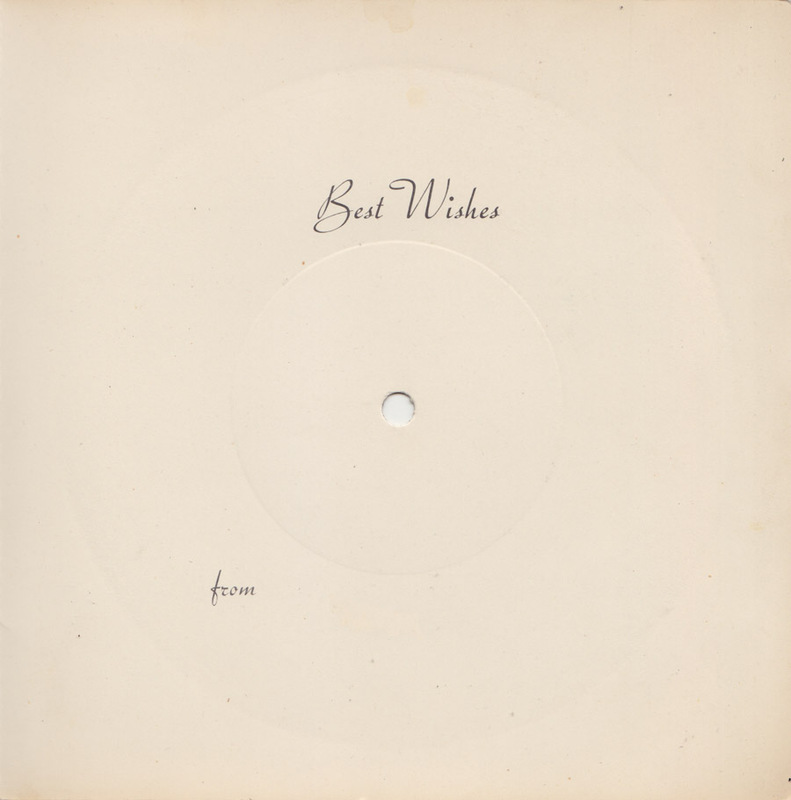 I put the MP3s back up, so check out the songs if you missed the post in 2007. 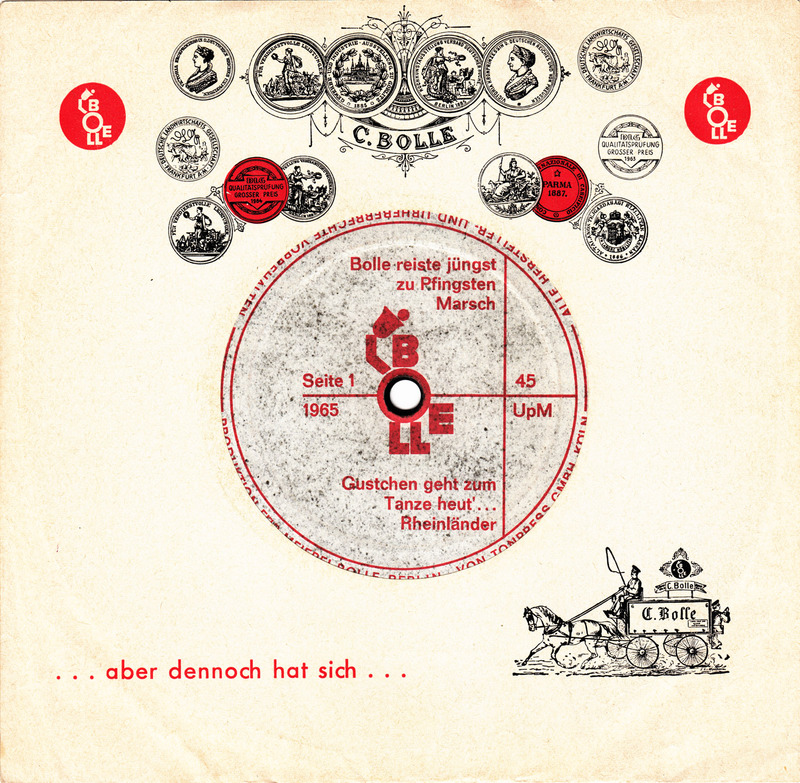 Until recently I never even thought about buying any of the other Bolle records, because Finnish Yenka and bogus 1960s Dixieland seemed way too boring. 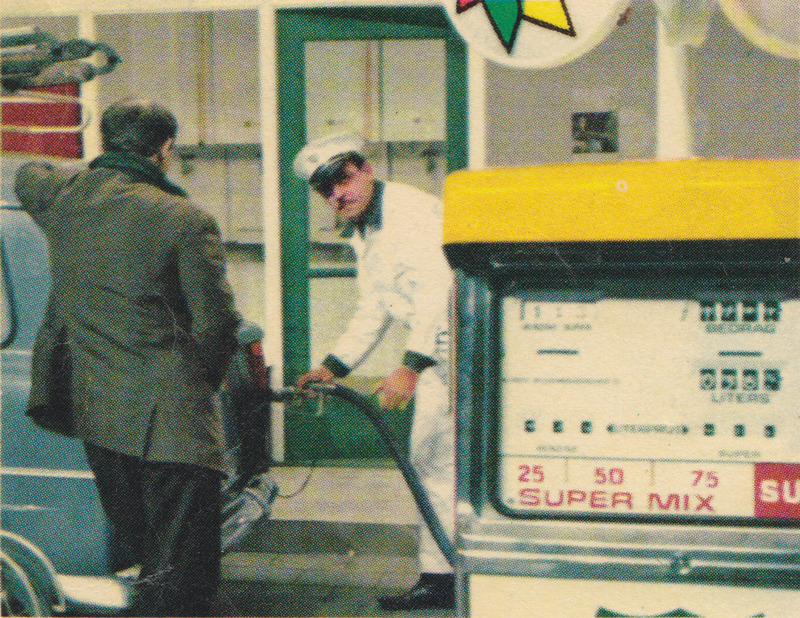 I´m not a completist but when I saw this one a while ago for 50 cents, I finally picked it up. 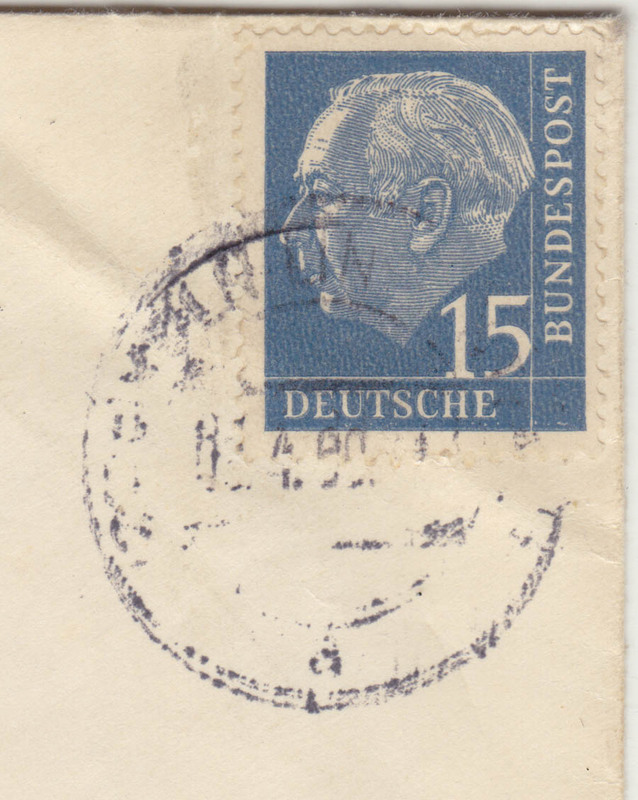 Well, it´s not a particularly noteworthy record, but it definitely is a very local Berlin artifact. 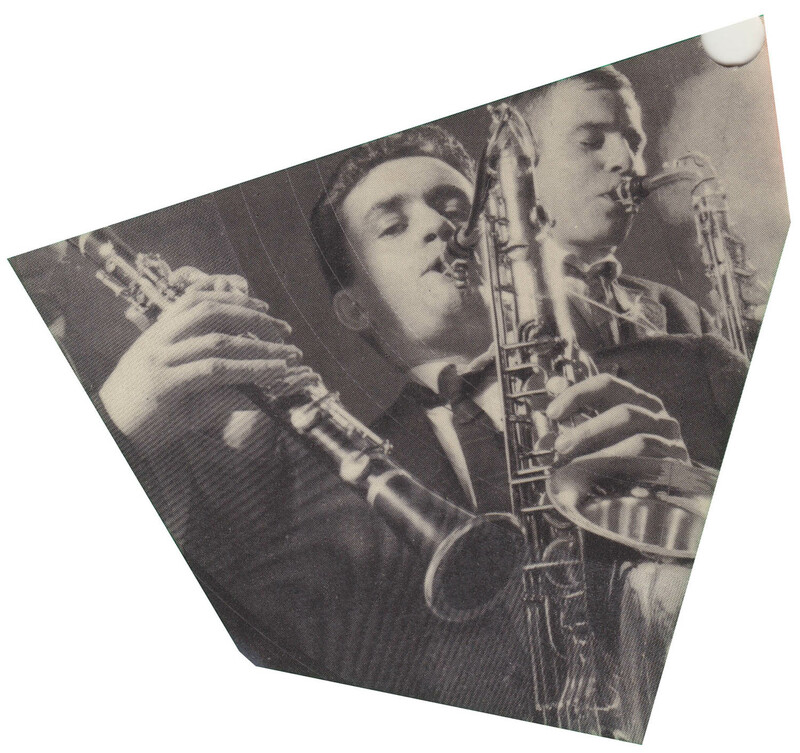 Today´s best offer: an anonymous jazz band, a flexible advertisement record, a defunct brand of cigarettes and the original envelope that it landed in peoples post boxes in. 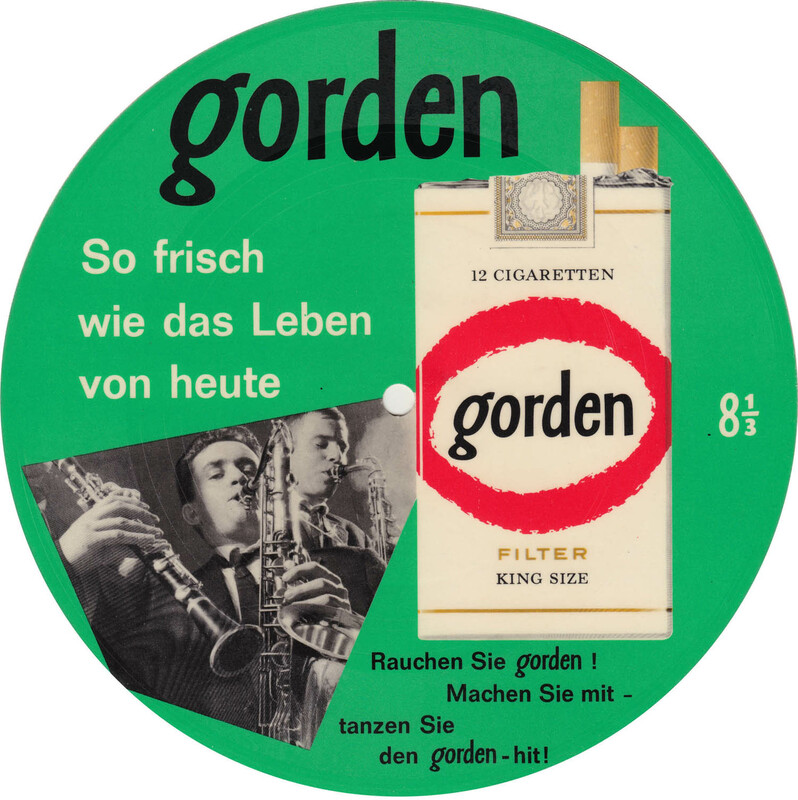 Rauchen sie gorden! 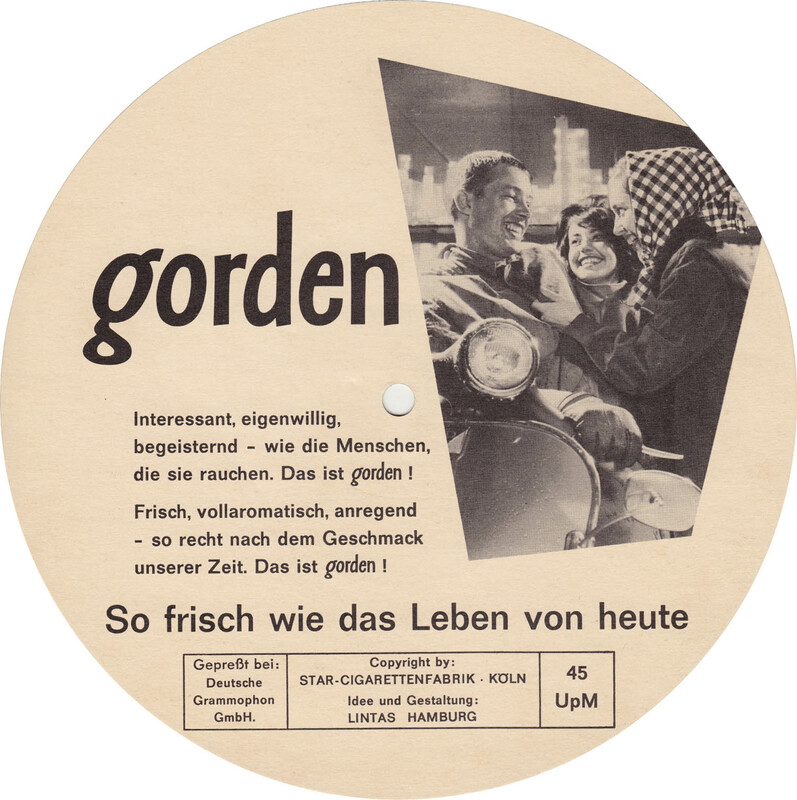 Machen Sie mit – tanzen sie den gorden-hit! 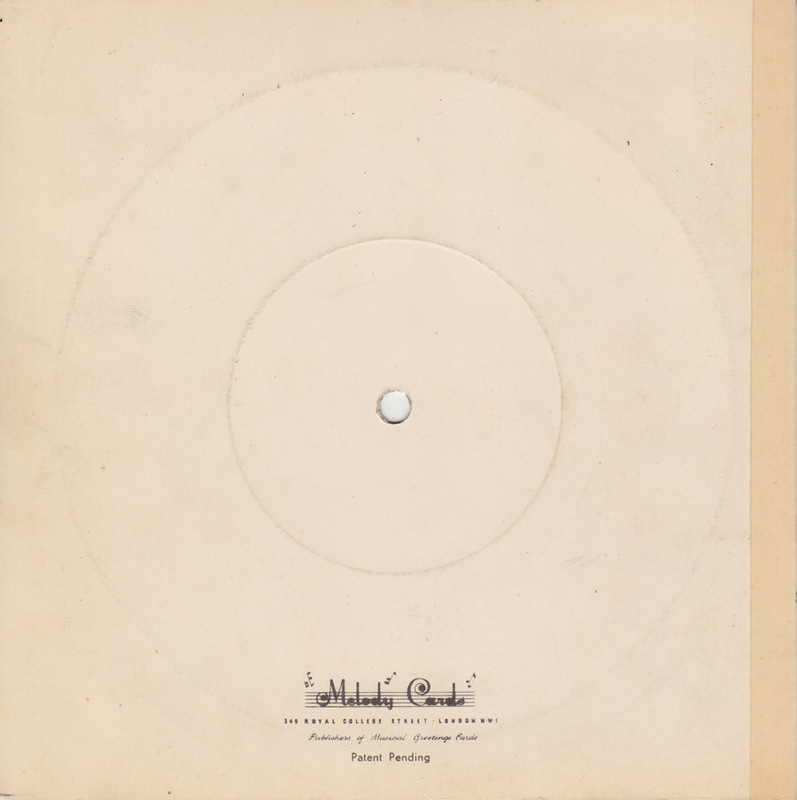 A while back I found some more flexible 45s by Kid Orbis, alias Wolf Gabbe. Although my other posts of his music, like his swingin Nutcracker Suite, have left even the small remainder of readers unfazed, I have to do what I have to do. I dig Kid Orbis´ take on Antonín Dvořák. 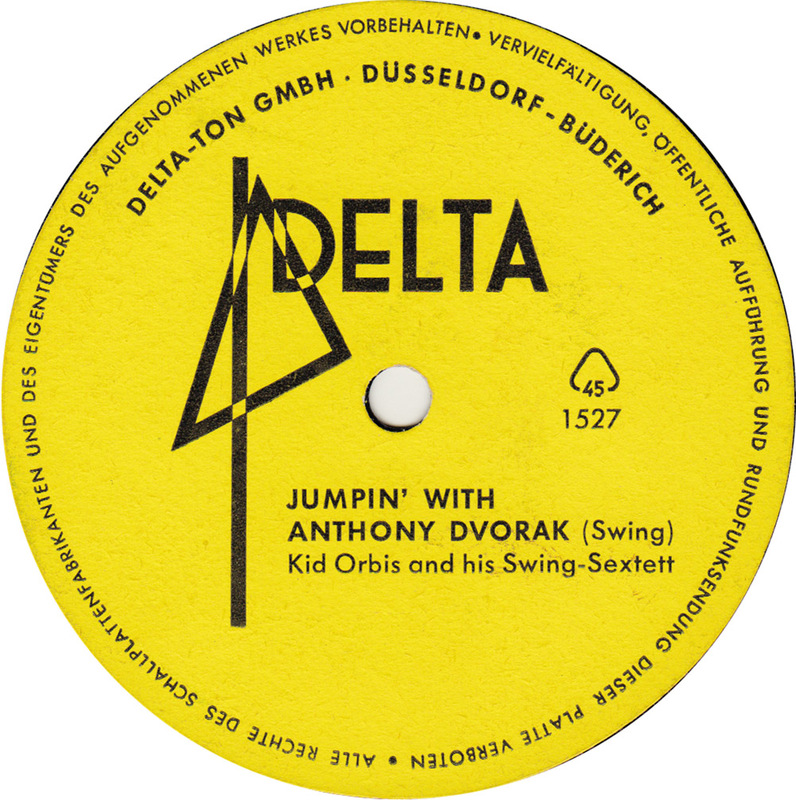 Sure, Jumpin with Anthony Dvorak could be more jumpin´ but it´s still a nice little tune. Kid Orbis recorded specially for Delta-Ton out of Düsseldorf-Büderich. 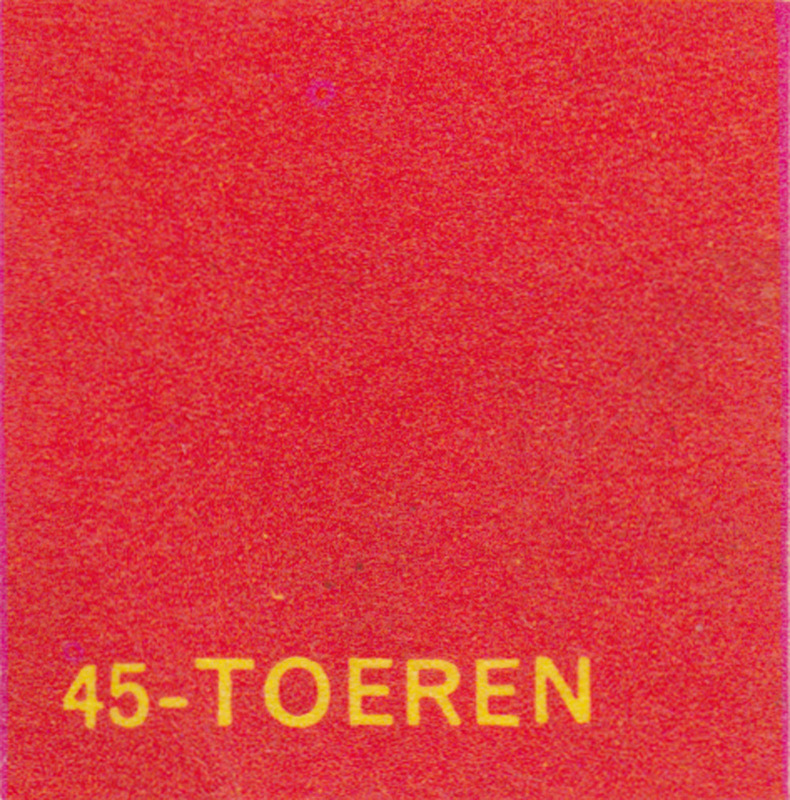 But Delta Ton also took over material from real labels. 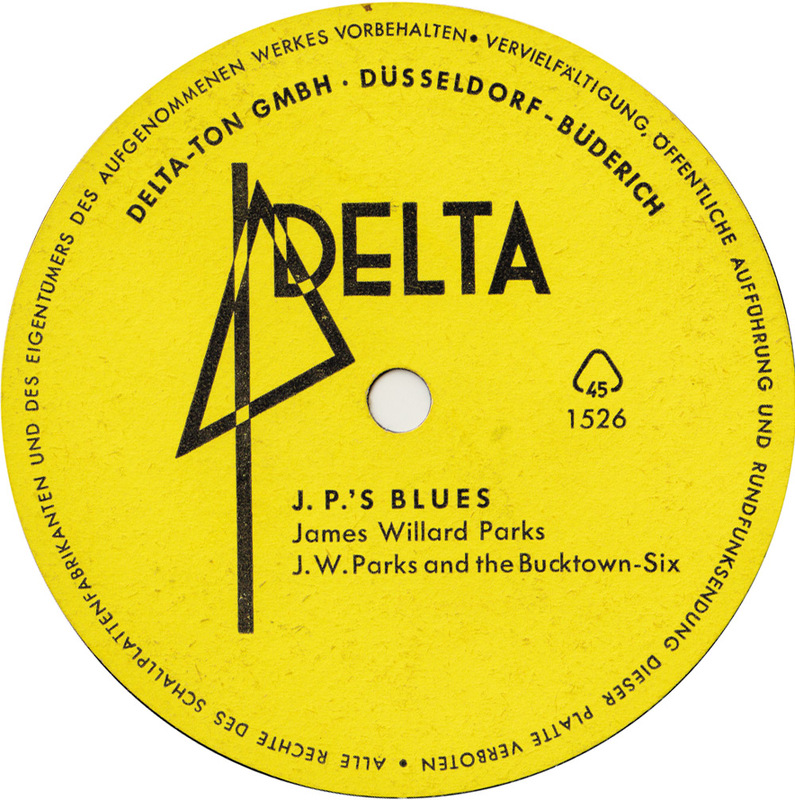 J.P.´s Blues by James Williard Parks and the Bucktown-Six first appeared on an EP of the same title on the German Climax label, a small jazz specialty label. Written by J.W. Parks, an Afro-American US-soldier stationed in Wiesbaden. 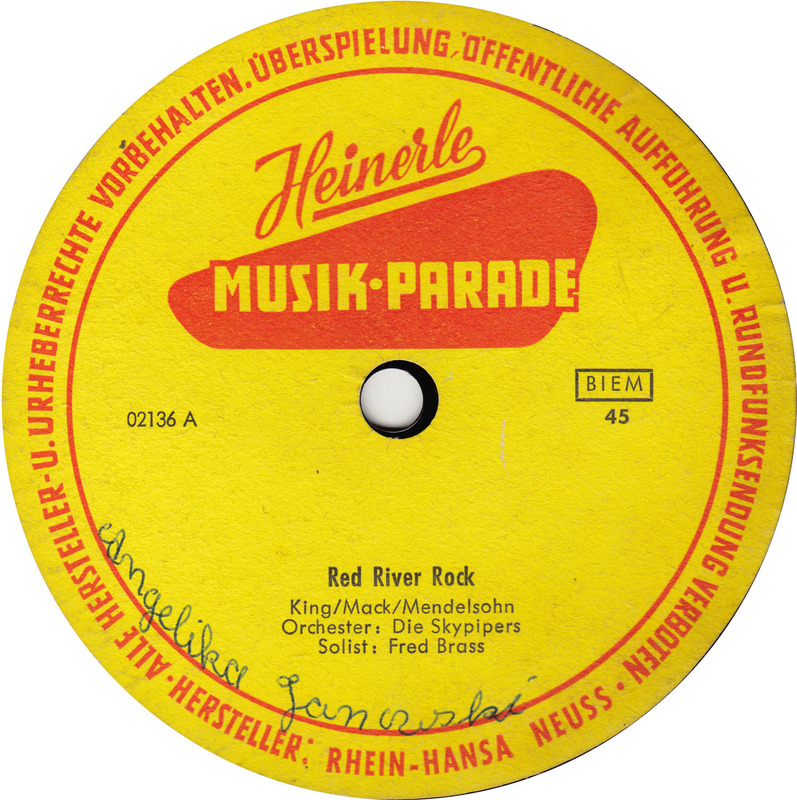 J.P.´s Blues is probably the most authentic sounding blues song recorded in Germany in the 1950s. 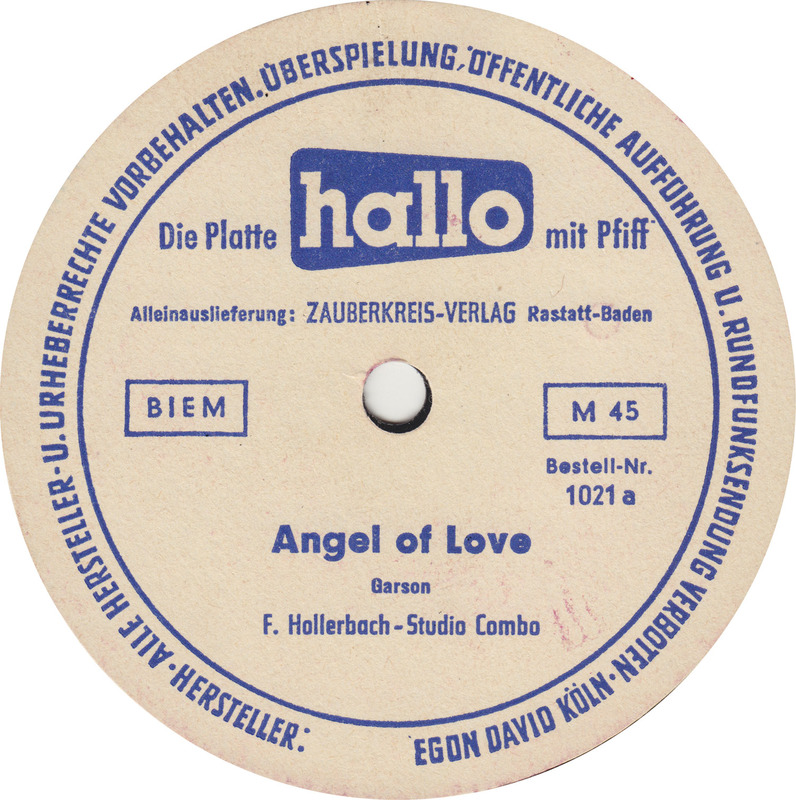 It was recorded on February 22nd 1957 in the Robert-Schumann-Saal in Düsseldorf. 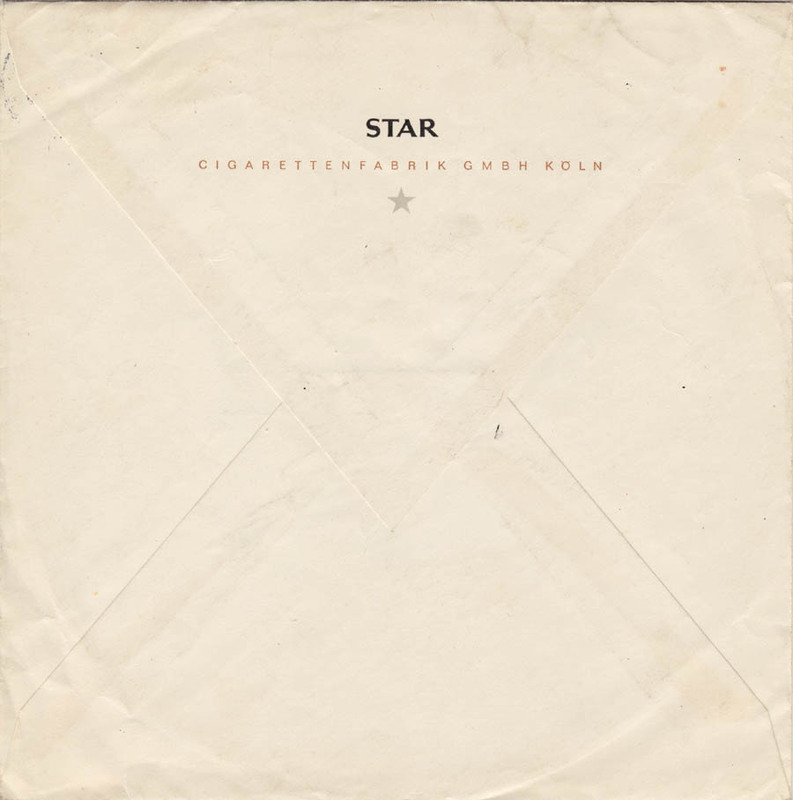 The line-up features: J.W.Parks, voc; Dietrich Geldern, cl; Manfred Stapput, tp,voc; Herbert Koleczek, p; Dieter Kauffmann, bj; Hermey Kopp, dm and Heino Ribbert, b.
Judging from the front sleeve of the Climax EP J.W. 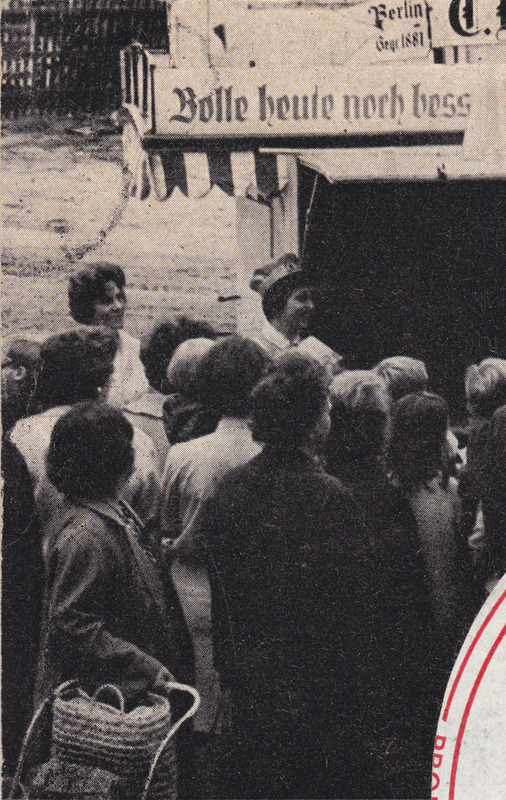 Parks must have been a sight to behold in Germany at the time. 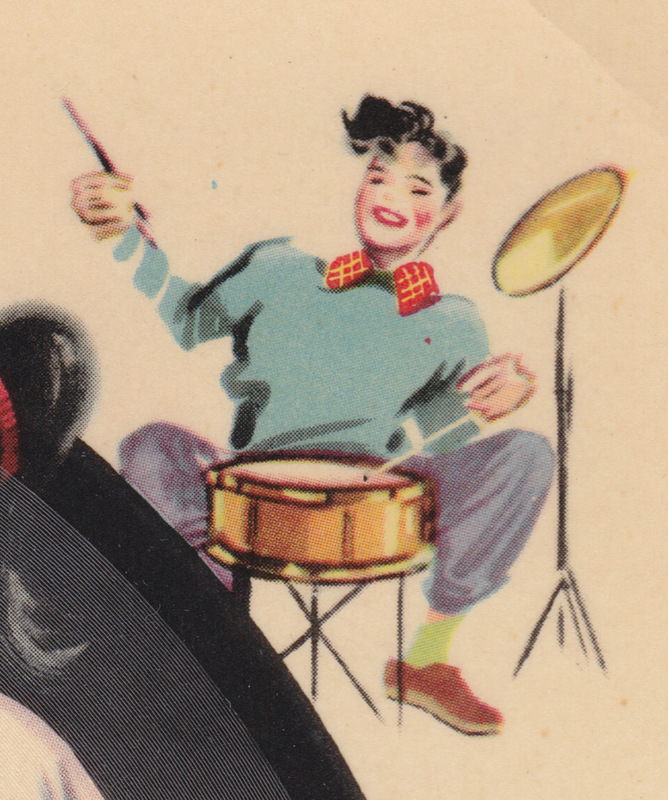 His flashy getup was certainly in contrast to that of most German jazz musicians and Pop stars. 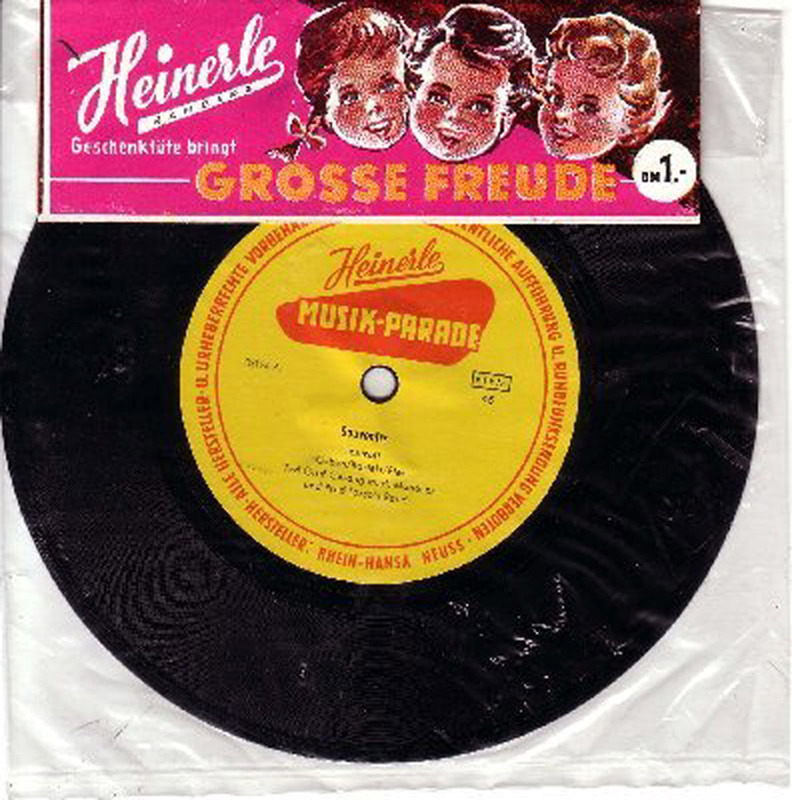 On this German flexible budget 45 the recorder, according to the label played by a certain Fred Brass, aptly mimics a Hammond organ. Sweet!